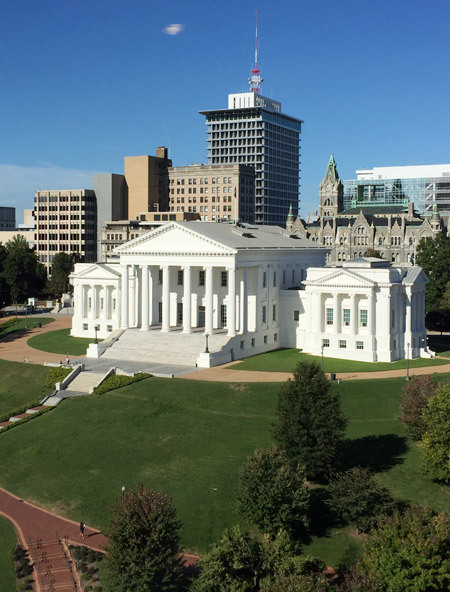 David Bailey Associates is a full-service public relations, government affairs, and lobbying firm located immediately adjacent to the state capitol in Richmond. For more than 30 years, we have developed and maintained effective working relationships with legislators and executive branch elected and appointed officials on all sides of the political spectrum. We take special pride in our reputation for honest-dealing with our clients, state officials and fellow lobbyists. 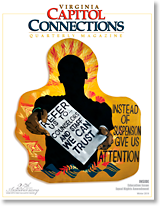 In addition, we publish a quarterly political affairs and public policy magazine, Virginia Capitol Connections, which features articles on important public policy and political issues written by leading legislators, executive branch officials, political scientists, lobbyists, and other noteworthy persons. Our Richmond office is located in Capitol Place in sight of the State Capitol, the Pocahontas Building, the Governor’s office, and the offices of Cabinet officials and many state agency heads. As a result our firm has daily interaction with a variety of state government officials. Throughout our history we have placed relationships with our clients ahead of maximizing opportunities for billing. Because David Bailey Associates is not an organization where billable hours take precedent over other considerations, it does not have the billing pressures or high costs that many lobbying firms face. Our commitment to you is to identify the highest and best use of our services to ensure successful implementation of the city’s legislative goals and objectives. In the end, all we have is our reputation for competence, fairness, honesty, and success.